Saltability's Himalayan Salt Bamboo Warming Tray hold up to 20 Himalayan Salt Stones. Made of bamboo for its ecological benefits and features a silicon-covered base with a state of the art heating technology that helps warm the Himalayan Salt Stones to a consistent 130 degrees (may vary by stones shape, size and thickness). 13" x 20"
Supports a healthy respiratory system and sinuses. Relieves anxiety and addresses insomnia. Himalayan Salt can't hold bacteria because it is naturally antimicrobial and antibacterial. You may take an extra preventative step if you would like using an EPA registered hospital grade disinfectant like Decon 30. 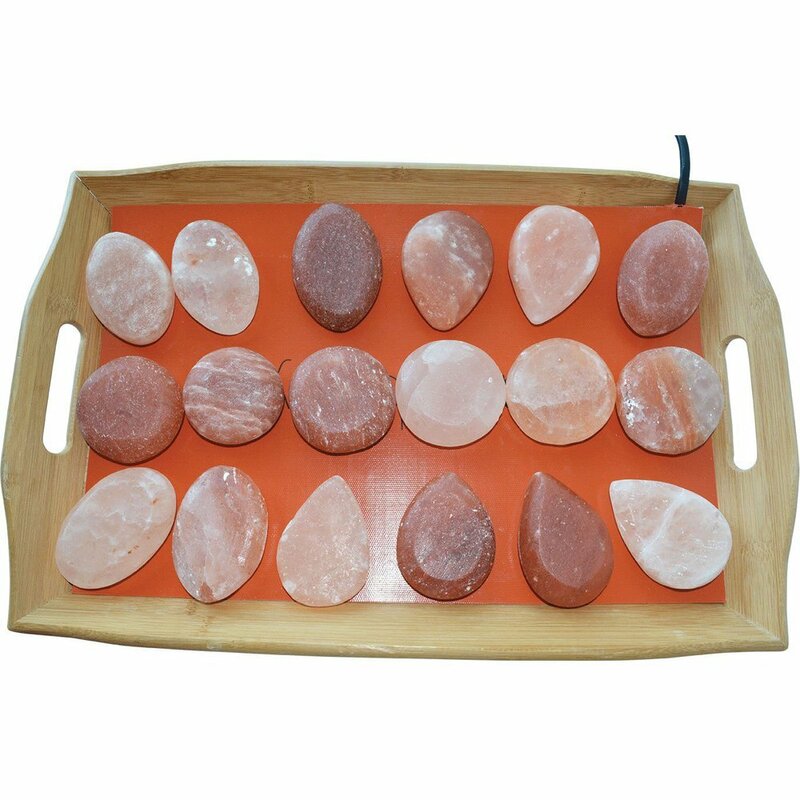 It is not toxic and has no harmful effect to your client, therapist, or Himalayan salt stones. 2-3 gentle sprays followed by immediately drying the stones thoroughly with a cotton towel. Stones may be lightly sanded using sandpaper if needed. To season new stones you may coat stones in massage oil for 5-15 minutes then wipe with a cotton towel to smooth the stone down. Stones will become smoother with each massage.